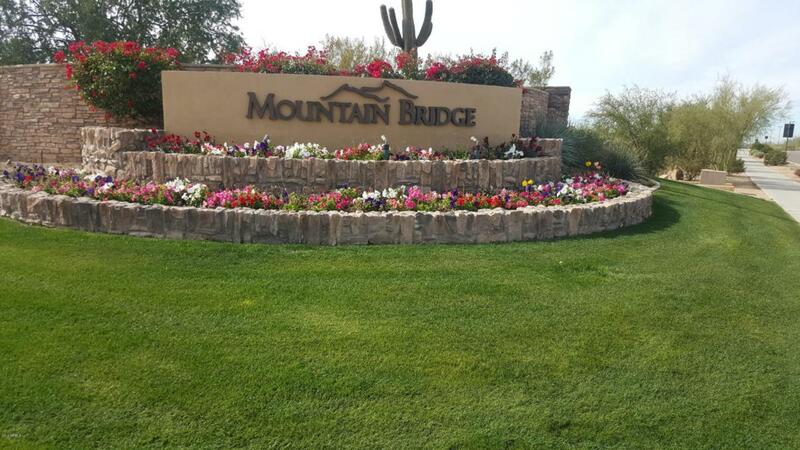 Welcome to a beautifully furnished 2-bedroom villa in the prestigious Mountain Bridge community! The home has many upgrades including granite countertops, staggered upper cabinets with crown molding, and stainless steel appliances in the kitchen. The large master suite has a spacious walk-in closet and double vanities with an additional bank of drawers. All rooms have ceiling fans and custom window shades. Enjoy the relaxing back patio complete with pavers, a small grassy area, beautiful landscaping with drip system, and a large pergola for shade. This immaculately maintained gated community features luxurious clubhouses, pools and spas, fitness centers, tennis, pickleball, and basketball courts, and miles of hiking/biking paths around the neighborhood as well as the nearby regional park.